This morning, Flea is in the capable hands of Dr. Diaz. Before we dropped him off, he asked me to post this blog for him. Of course, we hope that his operation will be completely successful, and that he’ll soon be back to his normal self… and blogging like crazy. If you feel like dropping him an encouraging email, I’m sure he’d love to hear from you! 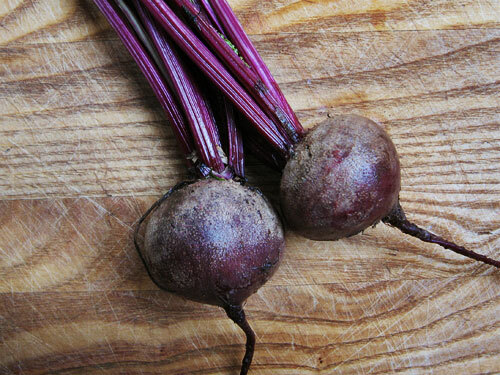 In the meantime, I’m going to try to keep my mind off of it by making some Borscht (the clear Polish one). Dad was feeling guilty at the beginning of game 6 when he couldn’t find his lucky “I [heart] Hideki” underpants, but I always knew how it would end. 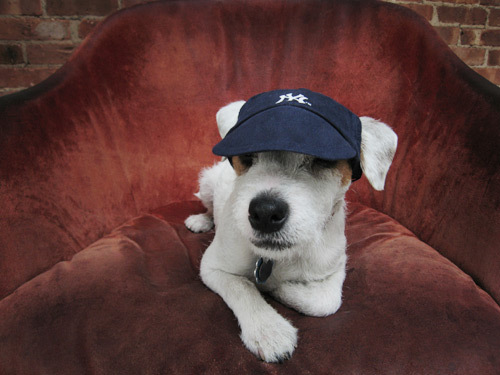 Lemme tell you this, though: I’m not wearing this hat out to the dog run again. Geepees! What were you thinking, Dad? I’m a dog.